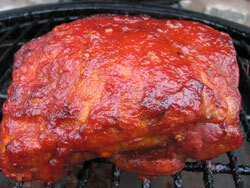 All American barbecue recipes, the very best in low and slow BBQ cooking all in one place! Moist, juicy pulled pork, slow sliced brisket and amazing ribs recipes all under one roof. Region to region around the world the word barbecue means something different depending on where you are. In most places around the world it generally means direct cooking (grilling) over wood or coals but in America it means something different...and that something different is something to die for! Big hunks of meat cooked indirectly and slowly with patience, care and attention at low temperatures. All over the States the process remains a constant but the ingredients vary from State to State and in many places the recipes remain closely guarded secrets. Who and where has the best techniques, temperatures and tastes has been argued over for many years and probably will be argued over for many years to come but what's not in dispute is the juicy tender results that this style of barbecue cooking delivers. So whether you're American looking to hone your skills or from another part of the world looking to understand what all the fuss is about then the low and slow BBQ recipes below will set you on your way to a better understanding. Southern Style Pulled Pork - Slow and steady, fantastic results. Smoked Pulled Pork - No rub on this one, just a tangy mop & BBQ sauce. All the best smoked brisket recipes on one page. OK so not really low and slow BBQ but I can't cover all American barbecue recipes with mentioning the good ole hamburger. This link will take you to all my hamburger recipes together with my ultimate guide for making the best patties. All the recipes below take you right through the process for making your sausage from scratch, how to cook it and the traditional ways of serving. Bratwurst (Wisconsin) Sausage - the staple of every sports stadium in the country. Wienies In BBQ Sauce - A traditional take on the Vienna sausage perfect for the hot dog. Creole Chaurice Sausage - Straight from the deep South and it's got a chilli kick to it! This whole section of my website is dedicated to helping you find the best recipes and BBQ menu ideas country by country, culture by culture so you can pull together for one big themed cookout. So if America isn't where you want to be then there's plenty more to choose from. Note:- Barbecue has been around since the dawn of time but American barbecue (the way we know it today) has really only been around since the late 1800's and early 1900's when the first barbecue restaurants started to pop up. 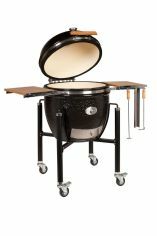 It was further popularized with the advent of the charcoal briquette and it's move into mass production by Henry Ford. It's hard to identify what, when or who developed into the staple that it is today but when you sink your teeth into moist juicy ribs smothered in sweet barbecue sauce it's not difficult to understand why.